Further to Notification to the Parties No. 2014/004, the CITES Secretariat is pleased to make available today the logo created to celebrate the first World Wildlife Day (3 March 2014) as proclaimed by the United Nations General Assembly. We welcome all countries, organizations and all interested individuals to make use of the logo in their celebration of the first World Wildlife Day. 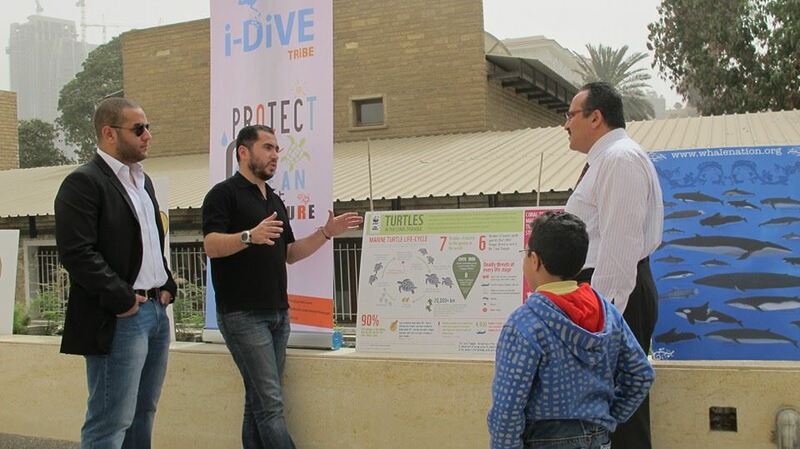 Egypt held the celebration of the first World Wildlife Day, on the 3rd of March, 2014 at the Greater Cairo Library located in Zamalek. 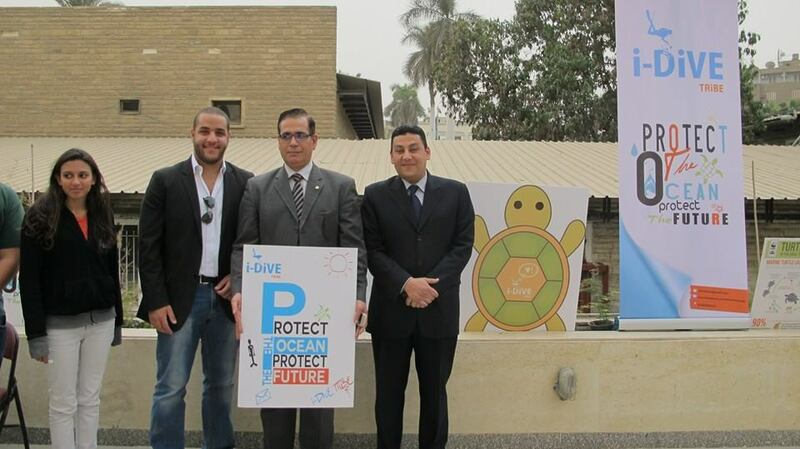 The event was arranged and organized by public sector, individuals who cared about Wildlife and attened by various governmental officials, Egyptian Customs Authority, Egyptian Environmental Protection Agency, Arab League, CITES and Widlife Authority of Egypt and prolific pioneers Dr. Moustafa Fouda, Gabriel Mikhail and many many many. 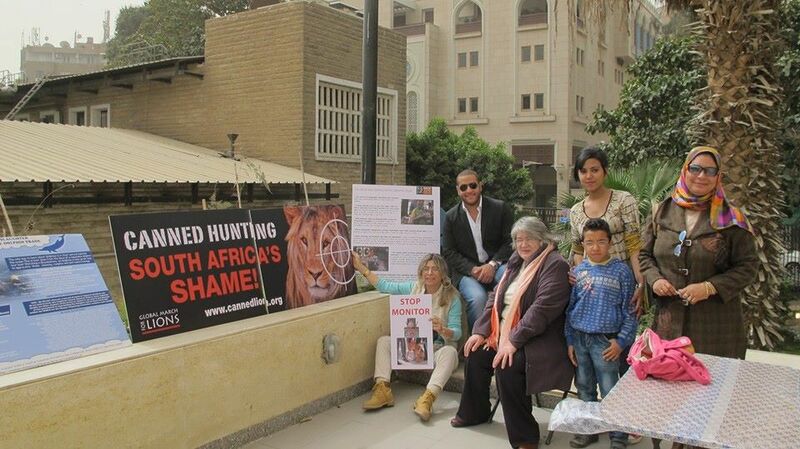 Two booths were set for the Global March for Lions Campaign, and Whales and Dolphins Protection. - محاضرات توعيه من الساعه 05:00 مساء الى الساعه 08:00 مساء "جدول المحاضرات و المحاضرين و الموضوعات بالايفنت).
. BASIC HUSBANDRY AND BEHAVIOR ENRICHMENT POWER POINT PRESENTATIONS BY HILDA TRESZ MANDATE OF JANE GOODALL INSTITUTE AND BEHAVIOR SPECIALIST MANAGER OF PHOENIX ZOO - ARIZONA. 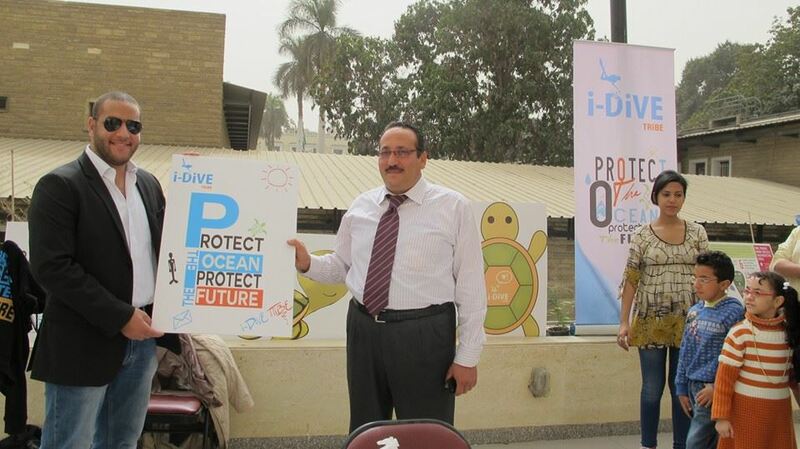 PRESENTATIONS WERE HELD IN EGYPT: GIZA ZOO, ALEXANDRIA ZOO, AND CULTURAL CENTER OF THE CAIRO OPERA HOUSE, SEPTEMBER 2011. 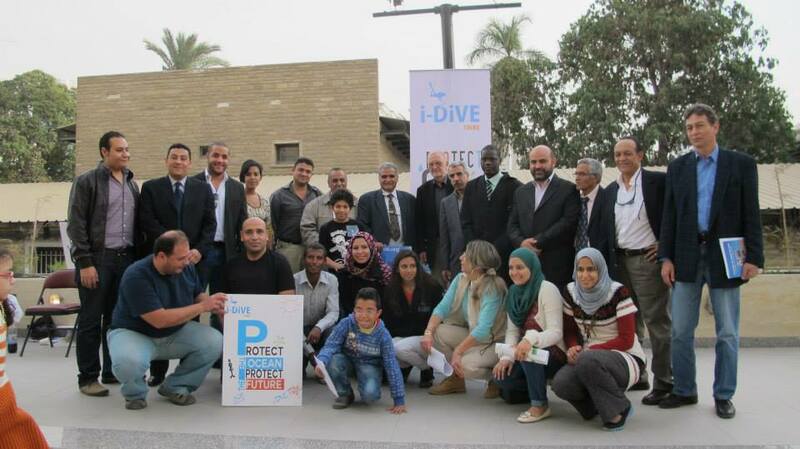 Successful Campaign Resulting in : No More Chimps in Solitary Confinement in Egyptian Governmental Zoos , Better Conditions for the Elephants. 17 September - 4 October 2011 - Integration of Chimps by: Hilda Tresz, Mandate of Jane Goodall Institute and Phoenix Zoo, Arizona. See pictures of the 3 Chimps Groups formed. 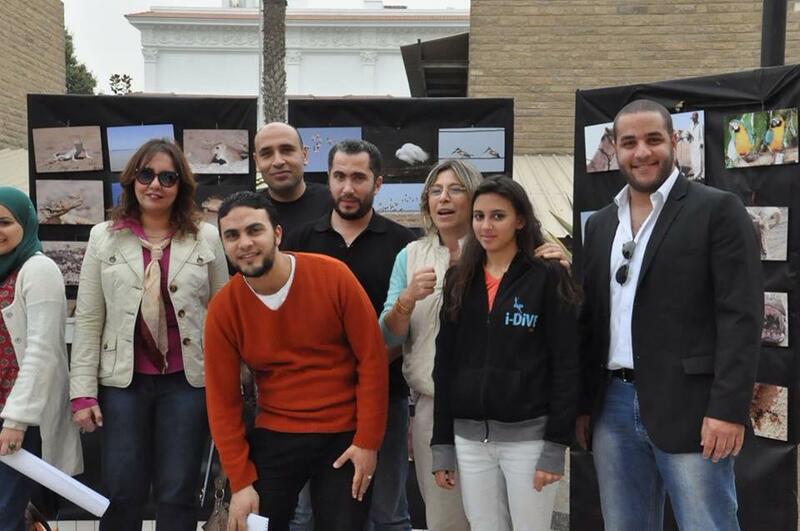 group 1, group 2, in Giza Zoo, and group 3 in Alexandria Zoo.
. Integration Group 1 : for the first time the 3 baby chimps Misho, Bobo, Loza were introduced to adult chimps Ingi and Prince, and now we have mother, father and children. Please visit page integration group 1.
. Integration Group 2: Kuku the chimp which was sent to solitary confinement to Fayoum May 2010 to vacant space for the Orangutans is back to Giza Zoo to be grouped with Mouza, the tumor chimp who was also held in solitary confinement since March 2010. Please visit page integration group 2.
. Integration Group 3: Oscar and Fatouta which were sent to Alex Zoo, are now grouped with the single chimp in Alex zoo Meshmesh, forming a bachelor group. This took place from 28 Sept to 4th of October 2011 Please visit page integration group 3.
. A sign would be made outside the enclosure of Kuku and Mouza stating the meaning of: chimps are just like humans, this chimp Mouza had benign tumor and is being treated, she should see the light and be displayed and have a mate, a chimp, as chimps live in groups.
. The Elephants: it was agreed to implement the following: bringing one meter sand in all elephant enclosures, walking them, taking them to bath in the lake, food hang up in a puzzle way and not in the floors and from keeper to the elephants trunk! Many substrates!!!! Complete recommendations were agreed on for the elephants at Central Zoos. Orangutans enclosure will be completely finished within 3 days from today. September, from 6-8pm, and held in Alex Zoo from 28 September to October 4th.. see the substrates, bedding of the chimps, they are now enjoying..
All serious advocates and members of AWAR are invited to attend. and learn how to improve the conditions of animals in captivity. waited long, but have always kept the pressure on, and, finally here we are. Military General and Doctor Osama Selim, for making this happen. Goodall Institute and Phoenix Zoo Mandate Hilda Tresz. 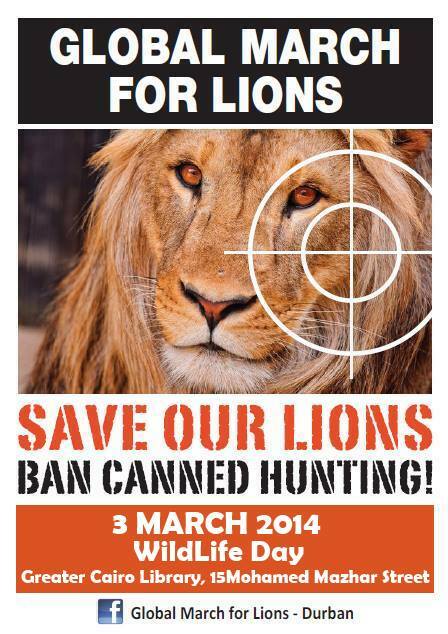 Stop animal cruelty ‏ ... ‏ and demanding that transfer of Cites Authority and Wildlife Unit to Environment Affairs. 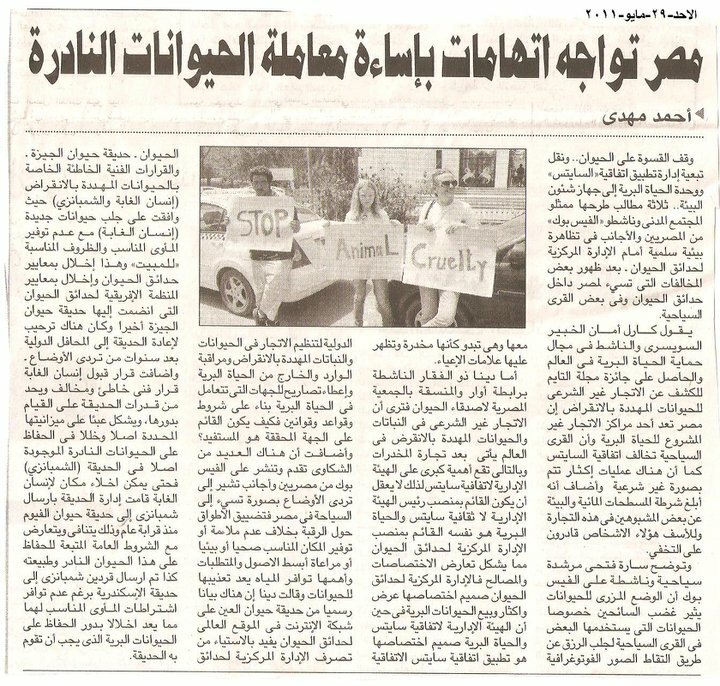 Those three demands were raised by the representatives of civil society and Face book activists, Egyptians and foreigners in a peaceful environmental protest in front of the Central Zoos management after the emergence of irregularities detrimental to Egyptian zoos and in some private facilities. Karl Amman, the Swiss wild animals protection activist, expert, and award winning Times magazine who exposed illegal trafficking of endangered animals in the world said that Egypt is one of the centers of illegal trafficking, some private tourist facilities were found to violate CITES Convention besides some breeding facilities, Karl informed the environmental police and reported some suspects in this illegal trafficking trade, unfortunately these people reported are capable of hiding. Sarah Fathi tourist guide and an activist on Face book explains that animal abuse makes Tourists really sad and angry, specially when they see exotic animals drugged and used for photo sessions in touristic villages/facilities , those poor animals seems to be put on drugs and clearly showing signs of fatigue. 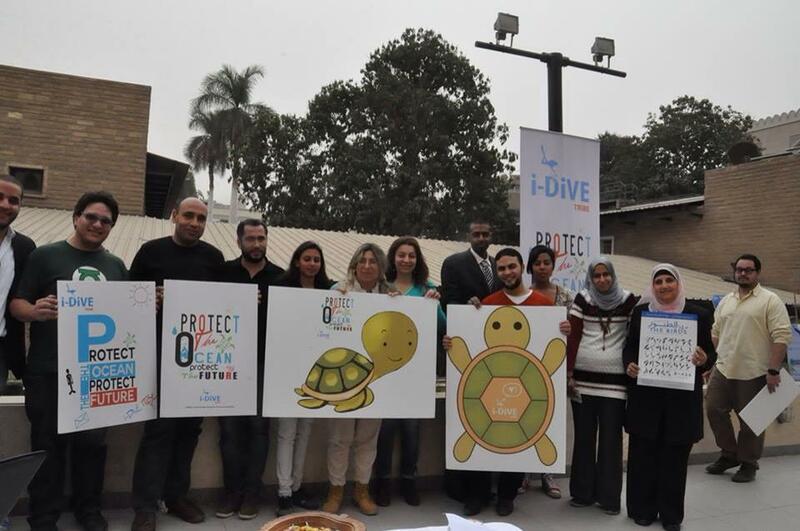 Dina Zulfikar, animal protection activist, coordinator of AWAR group and in charge of wildlife unit of the Egyptian Society of Animal Friends, says that the illegal trade in endangered flora and fauna in the world is ranked to be the second after drug trade therefore it is of great importance that the person in charge of Managerial Authority of Cites to be separated from holding the position of Central Zoos Director , which constitutes a conflict of competences and interests, the central management of zoos core competence display, breed and sell wild animals whilst the Managerial Authority of CITES, competence is application of CITES convention, regulating the trade of endangered species, monitoring and granting permits to facilities that comply to wildlife laws and conventions. , how can the authority which regulates, evaluates and grant permits be a beneficiary? There were many complaints submitted and posted on Face book by Egyptians and foreigners indicating a situation detrimental to tourism in Egypt, narrow hoops around the neck of animals as opposed to inappropriate or provide appropriate health, environmental or meeting the specific needs of species, basic requirements including water availability is even missing, animals are tortured in some of these private facilities, or touristic facilities, said Dina, Al Ain Zoo, AWPR issued a press release on zoo digest, stating that Giza Zoo or Central Zoos management, took wrong technical decisions concerning the Orangutans which were given as present, endangered animals. 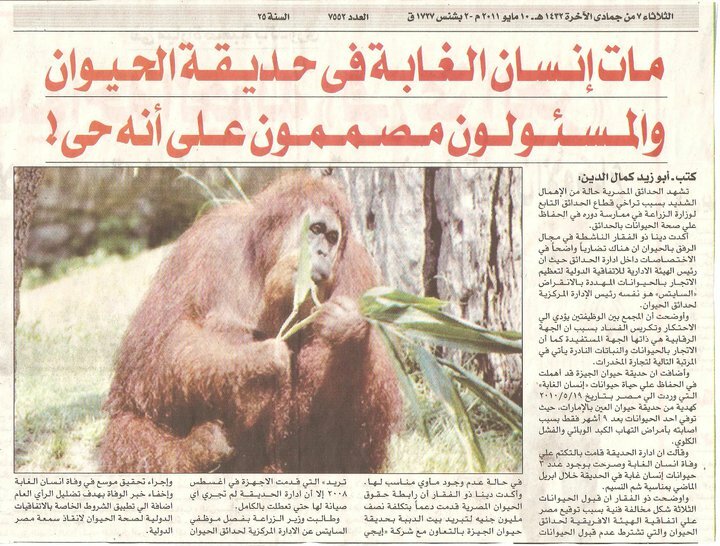 Agreeing to bring new animals (Orangutans) without adequate enclosure or conditions, is a violation, to criteria of zoos, specially that Giza Zoo after being banned internationally from WAZA was once again accepted in the PAAZAB, African Association of Zoos And Aquaria, this came as great news that Egypt was once again a member in international zoos associations however, violating PAAZAB standard was clear as the conditions for boarding and the prejudice to the criteria for zoos and compromising standards of zoos which Giza zoo finally were welcomed to join international y the decision of accepting in the Orangutans was a wrong technical decision, and the capacity of the Giza Zoo facility is limited, this also caused a strain on budget originally specified, the wrong decision resulted in another violation of PAAZAB standard, 3 chimps had to be sent to Fayoum Zoo (one single) and two to Alex Zoo, all in non complying conditions. It has been almost a year, those animals are not kept in the right appropriate enclosure, and the zoo should play its role as conservation and should comply with standards. 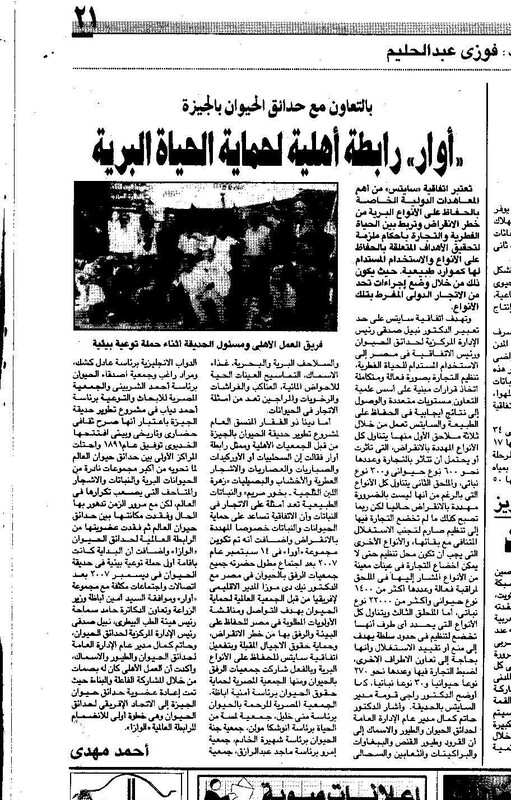 Wednesday 25th of May, Al Yawm Al Sabeigh newspaper and website published news about a man who intends to fight a lion -he brought for over 20000LE - to death, claiming this would encourage tourism in Egypt. The reporter claimed that Mr. Issawi applied for permission fo make this performance at the Pyramids area. Campaigns started immediately on facebook groups - in parallel ESAF wildlife Unit communicated directly with authorities involved. ESAF (Egyptian Society of Animal Friends) learnt of the problem at 8am on Wednesday 25th of May, immediate direct contacts were made with authorities involved, Managerial Authority of Cites and Environmental Police for confiscation, followed by a fax sent to all authorities involved including Chairperson of GOVS. (See attached). Follow up was made and we kept in direct contact with authorities. Tomorrow 29 May 2011, Managerial Authority of CITES would hold a meeting to implement immediate confiscation and legal procedures for this case. We will keep on providing updates. Believing in our role in raising awareness ESAF's wildlife unit published on facebook groups the update, the legislations, and the direct contacts of authorities. We encouraged all those who care to act positive by also contacting the authorities and explaining how appalled they are. We asked all to demand immediate confiscation and enforcement of national legislations, law 9, year 2009. 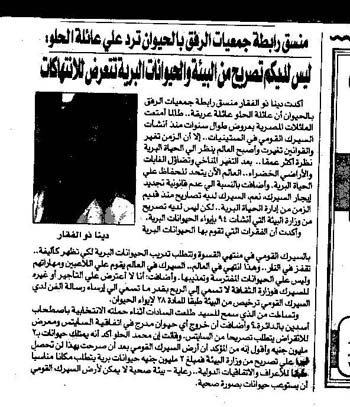 Quick translation of the fax sent: (attached) Demanded interrogating the person, as he should be charge for intention of committing crime, illegal possession of the lion, immediate decline of the request this man submitted to Ministry of Interior, drastic effect of this news on tourism and in general Egypt's reputation. 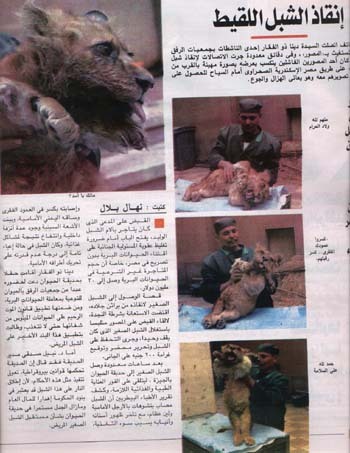 Currently ESAF's wildlife unit has established direct communication with Egyptian Authorities and stakeholders including governmental General Organization of Veterinary Services, Cites Wildlife Unit, and Central Zoos as it act as the official recognized rescue center, The EEAA, Egyptian Environmental Protection Agency, and Environmental Police, to discuss current status and proposed strategy. Discussions and meetings in length are taking place. Action of great Animal People on facebook - all acted positive and contacted the authorities. The Orangutan dies whilst the Central Zoos insists it is alive!!!!
. 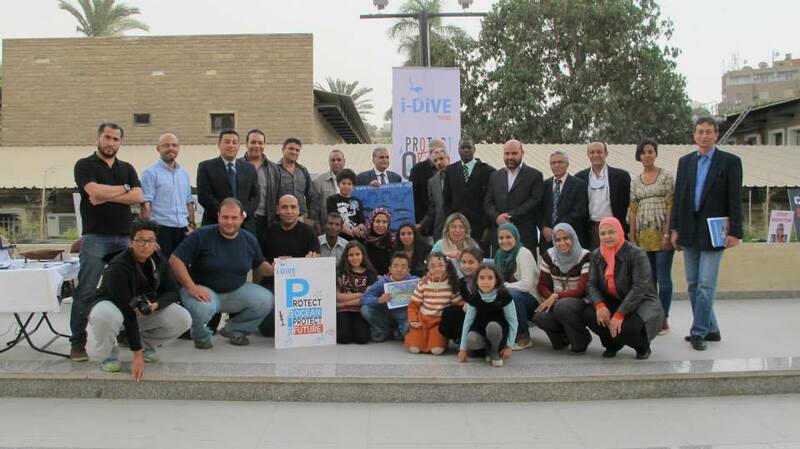 As a preliminary step towards Giza Zoo regaining admittance to WAZA, Giza has applied for membership in the regional African Association of Zoological Gardens and Aquaria (PAAZAB), itself a member of WAZA. If that bid is successful, they can then formally reapply to WAZA.